Karen joined Bay Area Pet Pals in the Winter of 2012. Her love of animals and the outdoors has made her a great addition to the team. Dog walks and pet care are just some of her duties. 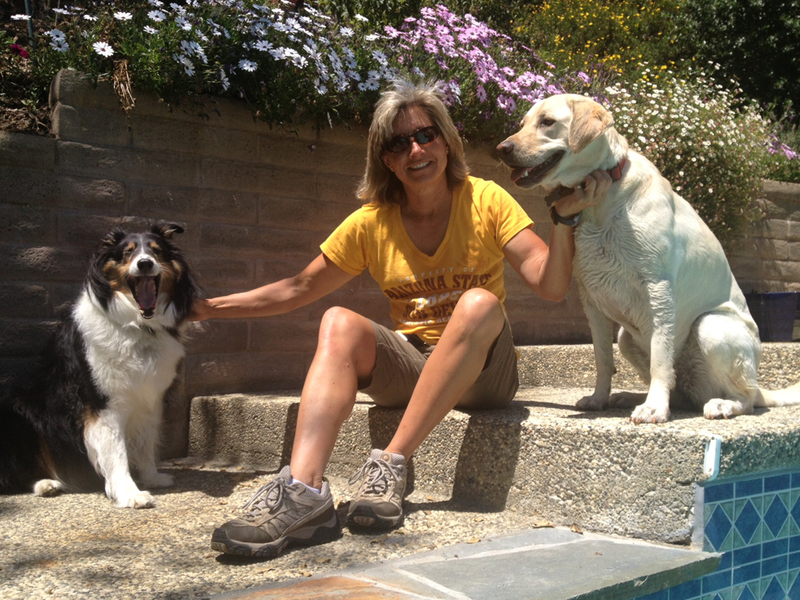 In fact, Karen has been walking dogs for friends and neighbors since she was 8 years old! As a true animal lover, Karen has not only raised several pets, she has also been a rescuer of abused or endangered animals. Nurturing animals and finding them new, loving homes has been a very rewarding experience for her. Her kindness and patience strengthens her ability to work with all kinds of people as well as their pets. Karen owns and operates her own personal training business for over 17 years. She likes to invite her clients to bring along their furry friends for a fun workout. Whether swimming, walking, or hiking; the participants can enjoy healthy exercise right along with their pet. She is also familiar with all of the parks, trails, and beaches that are available for dogs. Spending time with pets and family is important to Karen, and she will make sure your pet feels right at home.